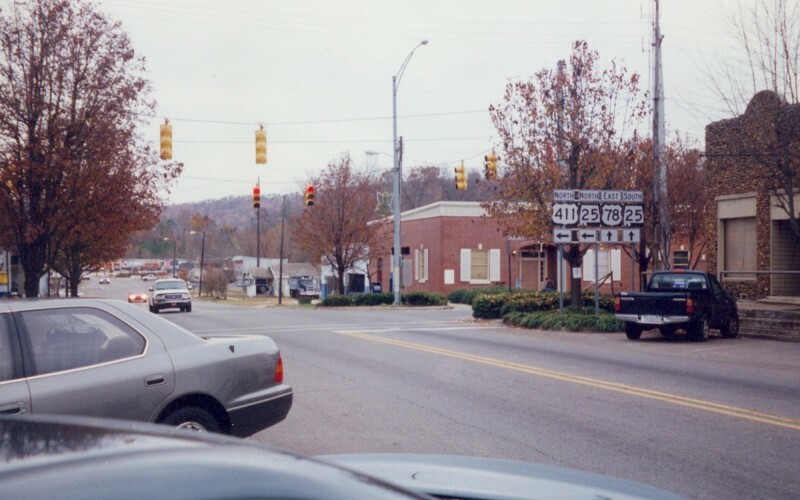 US 411 ends at US 78 in Leeds, AL, a "bedroom community" in the Birmingham area. Photo by Adam Froehlig. 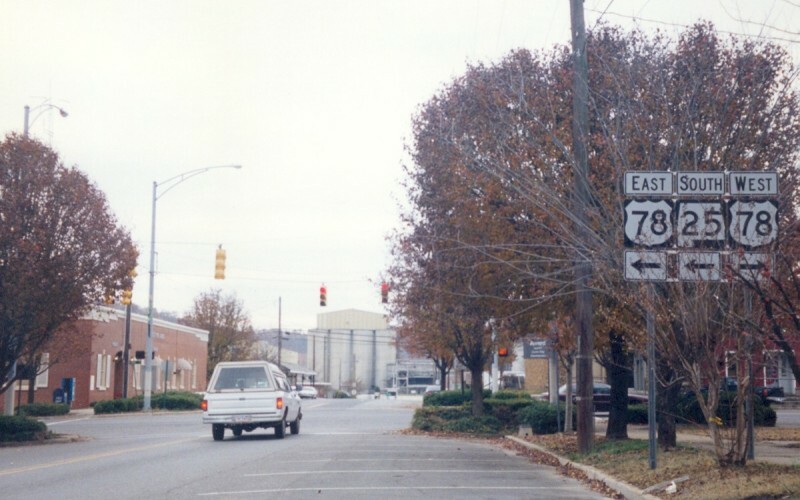 This is the viewpoint looking east along US 78. Photo by Adam Froehlig.